What proportion of manuscripts does Biotropica currently reject without sending out for review? I am curious to know how much of a gatekeeper I am expected to be. “You can find out more about how many papers we reject without review in the most recent annual report. 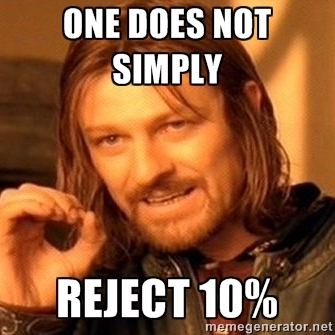 However, the short answer to your question is “no, we do not have a target percentage of how many manuscripts you should be rejecting without review”. Is the science in the manuscript of general interest to our readers? Is it addressing broadly important issues in tropical biology and conservation? Are the data collection and analysis methods appropriate? Are the results discussed in a way that people in other places or systems will be able to use them in their own work? If so then send it for review! If the answer to #1 is “No”, could it possibly do so after revision? If the answer to Question #1 is “Probably”: Does it make sense to have the authors revise the manuscript before it goes to reviewers? (Usually the to this question is “yes” because that cuts down on reviewer fatigue and improves the odds of getting a helpful, focused review). In that case, recommend “Reject Without Review but with Invitation to Resubmit”. Be sure to give authors feedback on how to improve the manuscript so that it gets closer to what we want to see (i.e., #1). If the answer to Question #1 is “Probably not”, then recommend we reject without review. This is disappointing for authors, but is actually the most helpful thing we can do for them because we provide suggestions for how it can be improved and a more suitable outlet for it that will likely get it published more quickly. Having said that, try to be generous. A reasonable proportion of our submitting authors have limited experience pitching manuscripts to international journals, and as a result we probably send more Reject/Resubmit decisions than other journals. But that’s one of the most gratifying parts of serving as an Editor for Biotropica – we play an very active role in helping people repackage their fundamentally solid and novel science in ways that will have a broader reach and impact. So no, Biotropica does’t grade on a curve. this was my policy too, Emilio! I HATE the gate-keeper approach. We should all boycott those journals….ha ha.